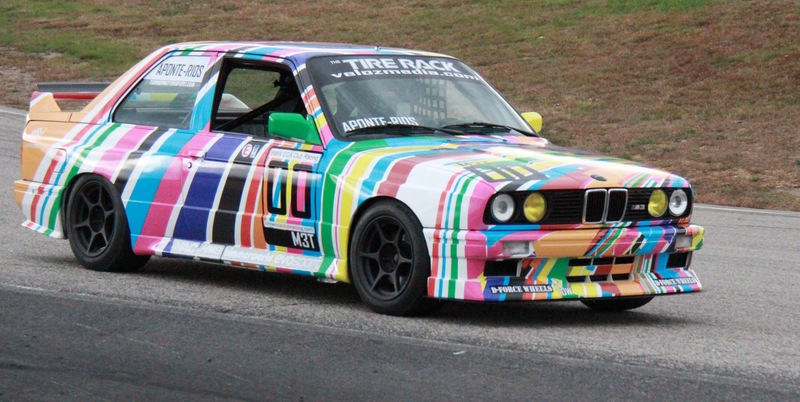 Aponte-Rios' E30 M3 makes its way down pit lane following a successful BMW CCA club race on Oct. 22 at New Hampshire Motor Speedway. 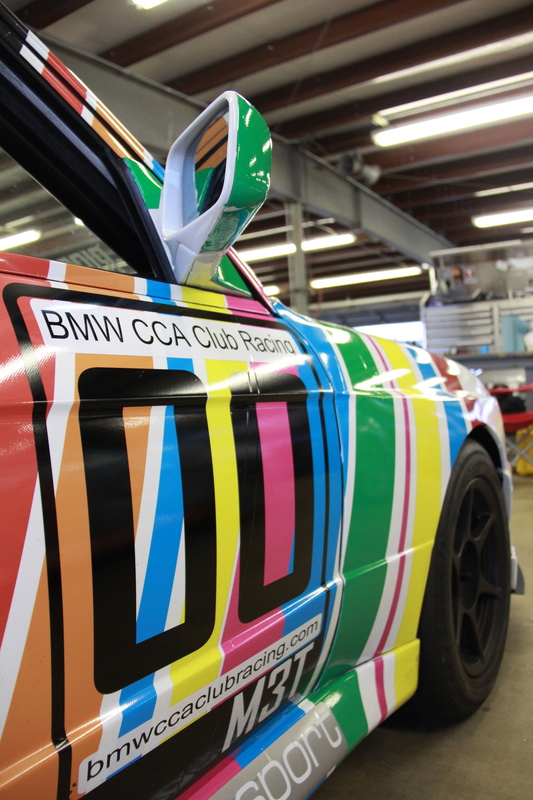 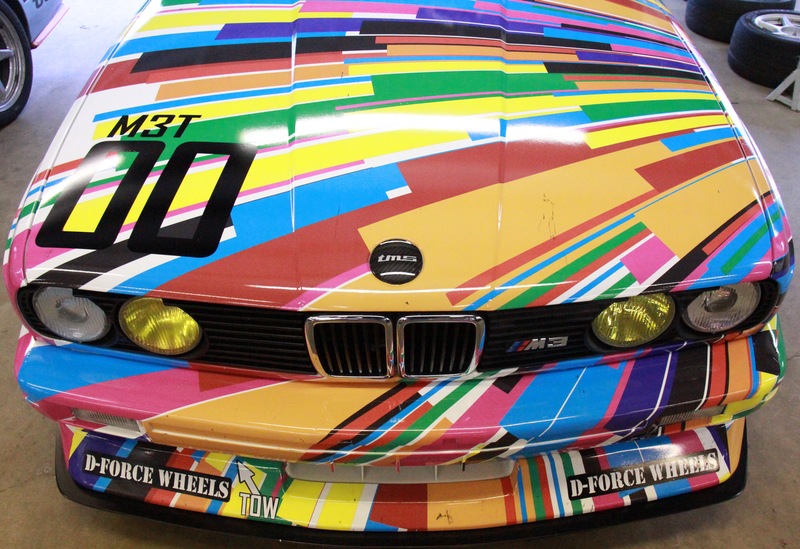 Colorful, geometric lines originate from the left front wheel and conclude at the right rear bumper. 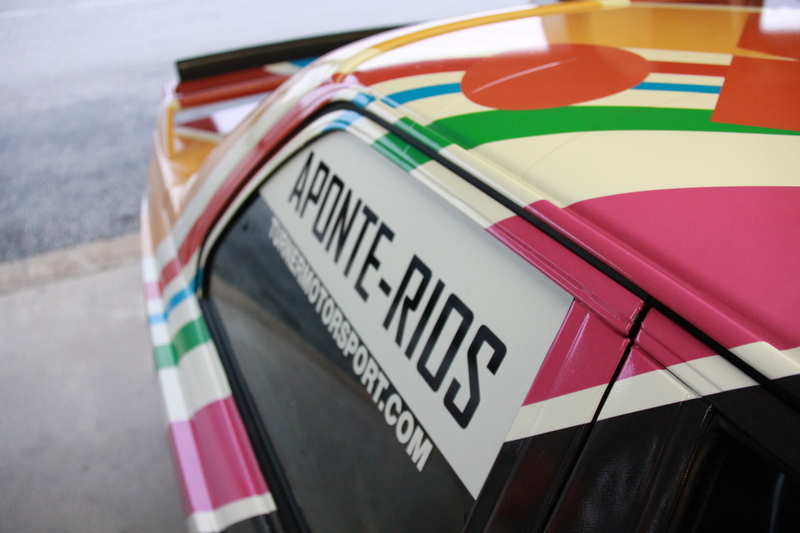 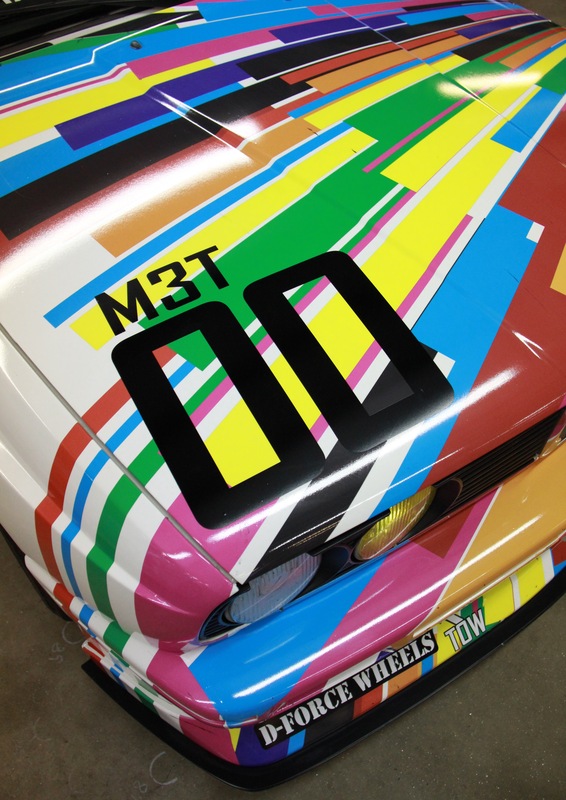 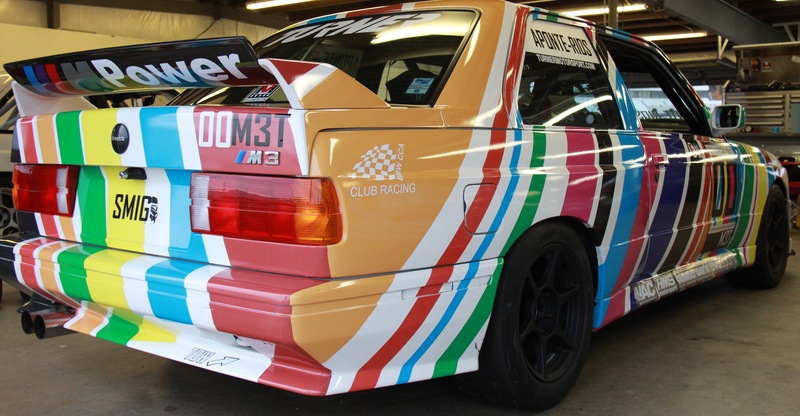 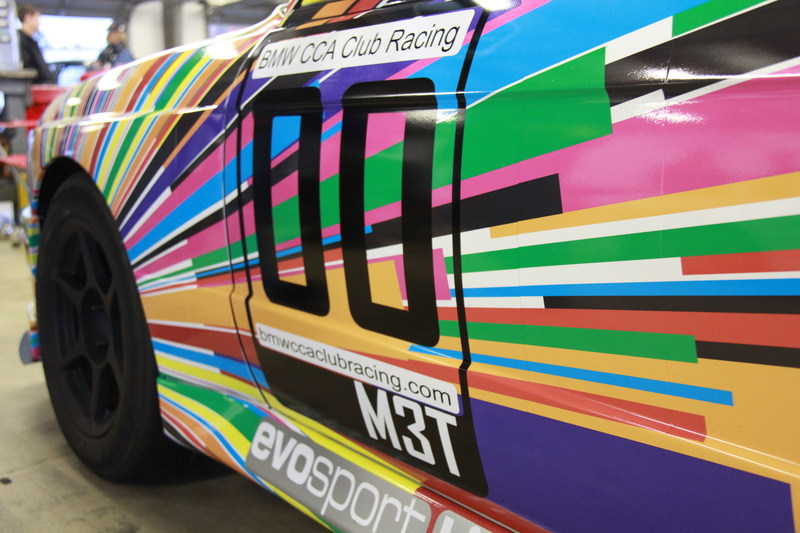 The E30 M3 before it underwent its technicolor transformation. 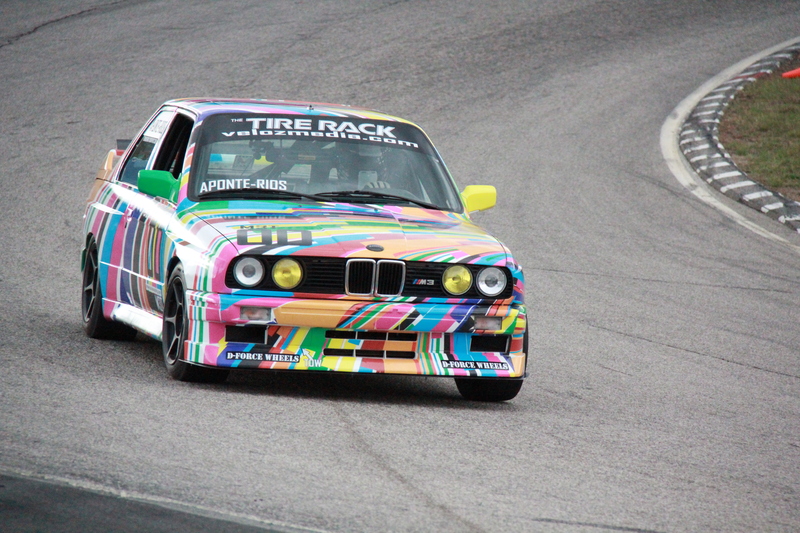 Aponte-Rios' E30 M3 exits Turn 6 (The Bowl) at New Hampshire Motor Speedway. 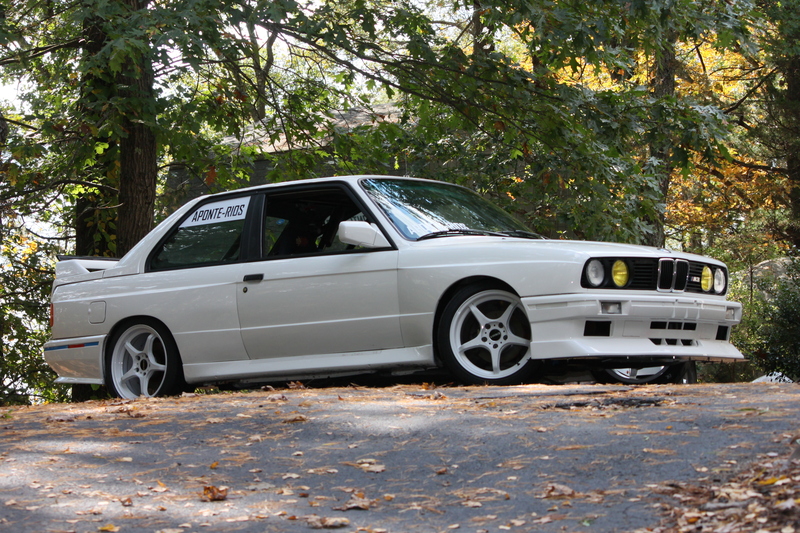 ALi, You can subscribe to my blog if you wish.